One microbiologist is using the world of social media to draw attention to the mysterious world of microbes. Hunter Hines has 60,000 followers on his @microbialecology Instagram account, where he regularly shares images and videos of microscopic organisms. The PhD student now has more than 60,000 followers and records the tiny organisms at a magnification of between 40 and 1,000 times. 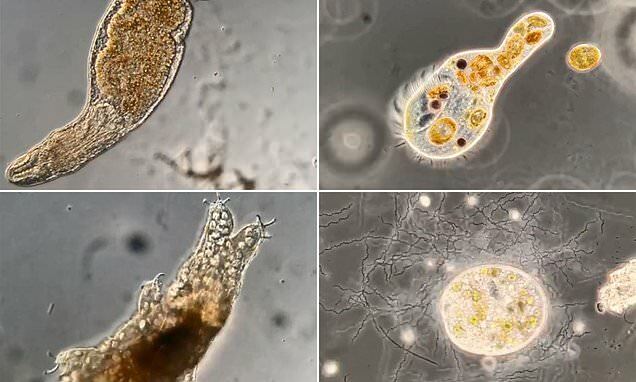 Single-celled ciliates are a popular feature for the Bournemouth University postgraduate student, along with micro-animals like worms and tardigrades (known as water bears). Tardigrades are considered to be one of the hardiest organism in the world and can survive the most extreme conditions.